Used correctly, Global Distribution Systems (GDS) can help your hotel reach over 700,000+ global Travel Agents (TAs) as they select the right properties for their clients. This is because GDS is used by TAs and Online Travel Agencies (OTAs) to book hotels, offer real-time availability of rooms, rates, and dates. But getting the most out of your GDS can often be more difficult than it should be.In this three-part series, SHR’s resident experts discuss the major GDS challenges hoteliers are facing today, and what you can do to remedy them. This week, I sat down with Sally Ramos, Vice President of Implementation and Consortia Services at SHR, for a view from the beginning of the GDS journey; implementations. Whether you are switching to a new CRS or just trying to improve your current experience, here are three areas you can tackle today to start moving GDS in your favor. Once you are up and running on GDS, you need to pay close attention to your rate structure. This is because if rates change and are not loaded correctly, the hotel could lose revenue. So, if you have any new negotiated rates, you need to send them to your CRS promptly for processing. On the Consortia side, your CRS provider should have a very thorough process to make sure that upon your inclusion in a program, they not only make sure the rate is loaded, but that there are rates and inventory for the following year. This is important because not all providers do this. “Don’t be afraid to ask for what you need, and make sure your CRS provider also goes through a lot of test booking to make sure everything is working right,” Sally advised. It’s easy as a hotelier to focus heavily on your hotel website and OTA visibility, and just as easy to lose focus on the GDS, especially where content is concerned. “This is understandable because GDS is simply not visible as hotels make their changes,” Sally explained, “And it’s not something they have access to. That makes it tough.” In addition to this issue, many hotels tend to work 95% of the time within their PMS platforms. “If they are constantly going into the PMS, they can easily forget about their CRS all together, which is linked to GDS, which is where content can become inconsistent,” Sally explained. 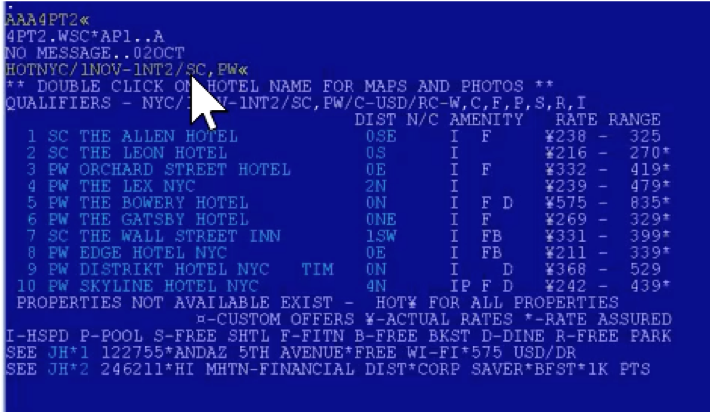 To remedy this, she recommends that hotels keep a visual map in mind of the connection from their website to an OTA to the CRS to the GDS to know where all the info is going. “And that means having very good communication with your CRS provider,” she added. Not only is it a matter of keeping your content in parity, but also making sure that you are representing your hotel as a complete picture. Are you describing the beautiful marble in the bathroom, for instance, but not the bed type? As we mentioned in our last installment of this series, you need to think of your TA as your guest. Look at the room details from their point of view. We can never say this enough, but you need to pull that HOD report on a regular basis to see what you look like to the TAs, and ultimately, your potential guests. As always, whatever you do, keep the lines of communication open with your CRS provider, especially where implementations, rate codes, and content parity are concerned. Doing so will help make sure you not only don’t lose any revenues unnecessarily, but that you continually increase your revenues, TA visibility, and brand identity.